In a further development in the quest of lawmakers to investigate and regulate the secondary structured settlement buying market, two congressmen have written a letter to Attorney General Loretta Lynch to probe whether these factoring companies have violated federal law, the Washington Post this week reported. The Congressmen, Rep. Chris Van Hollen and Louise M. Slaughter (D-N.Y.), are calling for better protection of the poor and disabled who are allegedly being exploited by factoring companies who are buying out long-term structured settlement annuity payments in exchange for pennies on the dollars. Critics of the structured settlement buyout industry say that sellers, driven by a burning desire to receive immediate money now, are lured by factoring companies to give up their secured periodic payments at a heavy price even knowing they are losing big money due to deep discount rates. 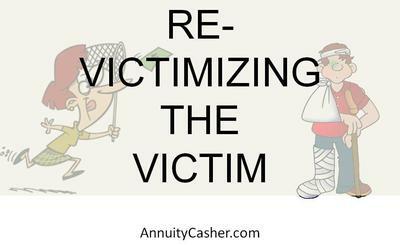 However, even some long-time fanatic anti-factoring activists have admitted over the years that selling settlement payments is justified in some cases when there's a need for money to fund current life needs. This, in fact, is supported by the Structured Settlement Protection Acts, as long as the transaction is not against the best interests of the payees and their dependents. The major issue, though, remains in cases where the sellers are taken advantage of, such as predating on those with limited mental abilities, as have also been mentioned in a recent article that I have published about the selling of settlement payments by lead-poisoning victims in Baltimore, Maryland. Congressman Van Hollen said that these activities are "re-victimizing the victims," adding that people are either violating the law in preying on the vulnerable victims, or that "we have inadequate protection" to shield the claimants from predator companies looking to buy out their payments for a one-time lump sum payment. Current laws require a court hearing to approve structured settlement transfers and determine that the transaction is in the best interest of the seller. These laws, however, may not be sufficient to protect those with mental disabilities, said Van Hollen.